14 gesprochene texte (spoken words) vereint hier auf diesem album. Die lyrics und sprachaufnahmen entstanden zwischen dem 07. Mai und dem 27. Oktober 2017. Once again demonstrating the range of thoughts and emotions that drive Uloisius's wonderful adds. 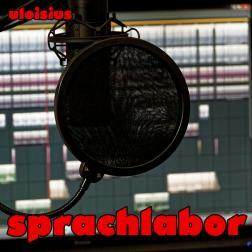 My German is a little rusty, but I still enjoyed Uloisius's album "sprachlabor". Interesting the way he mixes spoken word with quite a variety of tunes. Thanks Uloisius for making me a part of it!